But you know what? 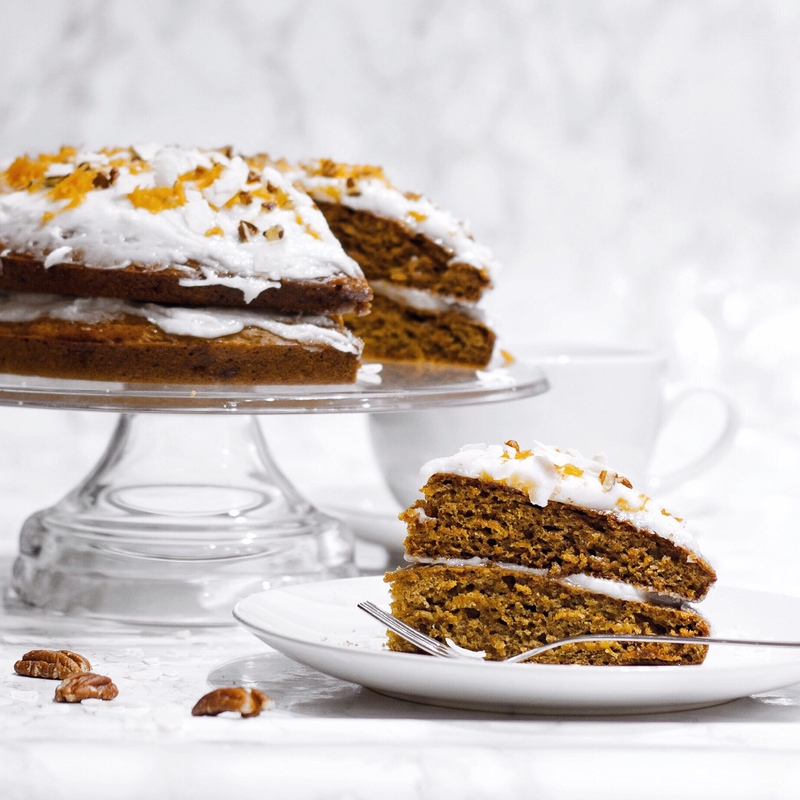 Carrot Cake is always amazing and a carrot cake recipe always appropriate – be it on carrot cake day or any of the other 364 days. This recipe is actually one of my favourites and the funny thing is that is has only been a few months since I ate my very first carrot cake! I was amazed right from the beginning… years and years I have seen others adore this cake and I was just like ‘carrots? in cake? !’ – but I am pretty sure that everyone must have had that thought before trying it for the first time. Mix the soy milk and the apple cider vinegar and set aside in the fridge. Blend the flax seeds and 3 tbsp water in a small bowl and also set this aside into the fridge. In a bit bowl sieve the flour and baking powder with the baking soda, cinnamon and ginger powder. In another small bowl combine the brown sugar with the vanilla extract and coconut oil and add it to the flour mixture. Also mix in the shredded carrots. Properly mix everything and add it to two equally sized baking tins (about 17.5cm diameter). In case you do not have 2 tins in the same size, simply bake the layers one after another and let them both cool down before continuing. Now the creamy filling: Blend the coconut oil with the rest of the ingredients until you get a smooth and creamy texture. Make sure that the coconut oil is properly melted beforehand. Using a large knife spread about half of the mix onto the first layer, then cover with the second layer. Repeat until the creamy mixture is all used up. Of course you can now decorate the carrot cake – how about some pecans or shredded coconut? You can also add some more shredded carrot, like I have done on my photo above. Oh and make sure that the cake layers are completely cooled down before adding the creamy mix – otherwise the warmth will also liquefy the mixture! What is your favourite cake? Are you also so much in love with carrot cake like I am? Leave your comments below!